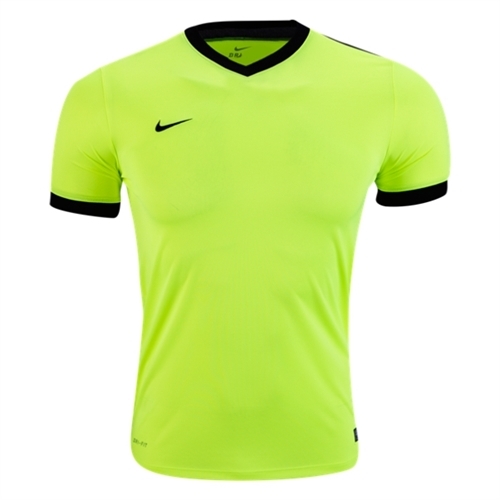 Description: Our Nike SS Youth Striker IV Jersey - Volt/Black are Dri-FIT knit short-sleeve jersey with rib v-collar. 1 piece sleeve and shoulder panel. Sleeve cuffs. Mesh back panel. Embroidered Swoosh design trademark. 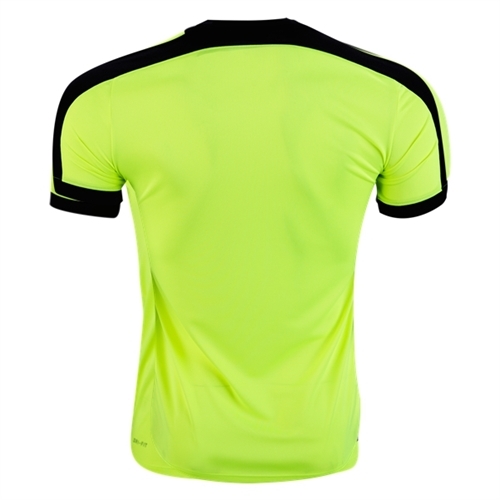 Nike SS Youth Striker IV Jersey - Volt/Black are made for soccer players. Mesh back panel. Elasticated back neck tape. With Dri Fit Technology.